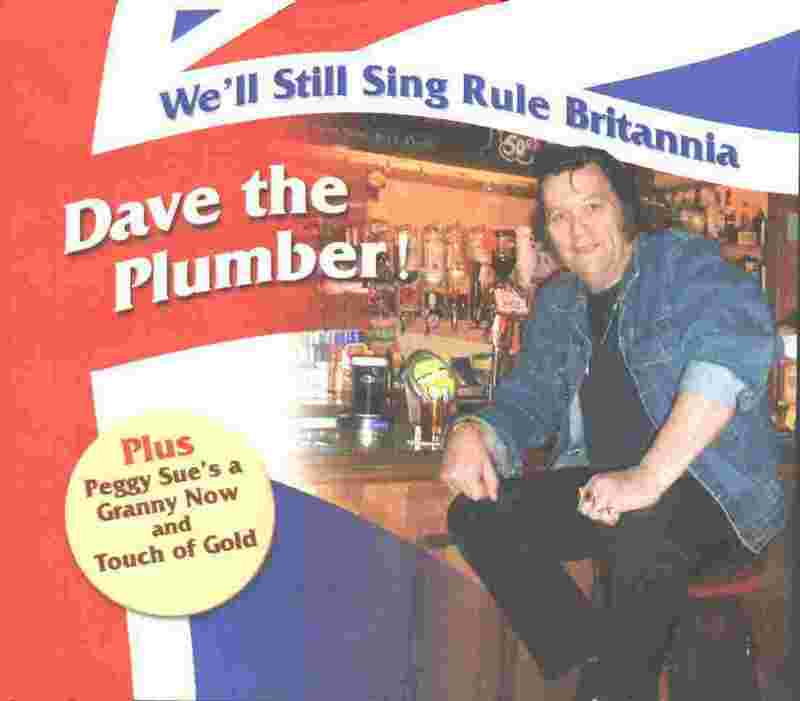 Viewers of Meridian TV's programme, The Village, will know Dave The Plumber as one of the regular characters of this popular TV series which ran from 1993 - 2001. The series followed the lives of the inhabitants of Hampshire village, Bentley, near Farnham, England. The Village was produced by independent production company Tiger Aspect Productions for Meridian Television. The programme has also been shown in many other countries around the world. As well as being a plumber Dave is an ardent Elvis fan and puts on shows singing material from the Elvis reportoire and other Rock & Roll greats, all over the South of England. Many shows being for charity. The series saw Dave making efforts to get a record deal. He came to the attention of record company boss, John Waterman and New Forest songwriters Barry Lowe and Merv Greenslade and between them a record deal was hatched over two episodes with Dave, John, Barry and Merv in the studio recording the first song "We'll Still Sing Rule Britannia". The last series broadcast on Meridian TV on Thursday evenings at 7.30pm for 12 weeks from Aug 16th 2001 showed the CDs being pressed, the launch signing in HMV Guildford. and the record's progress. The two other songs featured on the record are Peggy Sue's a Granny Now ( for all those original Peggy Sues out there) and Touch of Gold (A fantastic tribute to Elvis). The CD single was released on April 9th 2001, followed by a Cassette version in June. Listen to RealAudio samples and see the words from Dave's single now. We'll Still Sing Rule Britannia The song feautured on the TV series - We'll Still Sing Rule Britannia, is a call for pride in being British and about enjoying the special qualities of British country life. A rejection of being "taken over" by Europe and Euroland. The tracks are available for licensing in territories outside the UK so If you run a Record label, Publisher, Management or Radio station and would like a full CD of Dave's material e-mail Solent Records NOW!